Technology is everywhere. Absolutely everywhere. It has become so ubiquitous, in fact, that the only thing surprising about learning the average US internet household contains 5.7 connected devices[i] was realizing mine contained at least 8. But really, that was nothing compared to two educators I encountered at Miami Device this past week who each had 17. Given how technology has managed to seep into virtually every aspect of our lives, it can come as no surprise that education, too, has been affected. However, as easy as it has been for many to find a place for technology in their personal, everyday lives, the same can’t always be said about education. And nor should it. Media amplifies what students are learning. That was the underlying message I heard again and again in the select sessions I attended, and it began with Wesley Fryer’s “Help Students Show What They Know with Media.” During his hour, Fryer spoke to how utilizing technology and media in the classroom can enhance how students learn and comprehend new concepts. He instructed us not to ask why students should use technology, but instead how students can show what they know with media and technology. 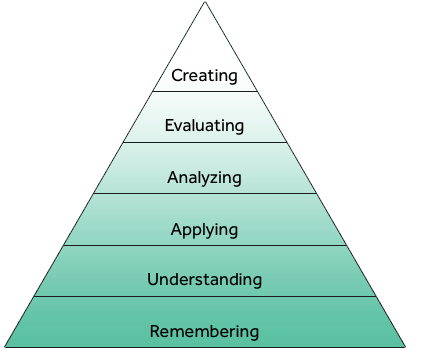 That’s when Fryer introduced some of us in the audience to the 2001 revision of Bloom’s taxonomy (left), which portrays the progression of how we best learn and fully grasp new concepts. We must, as it shows, create things. After just a few examples of how he himself has used media with his students as a tool for creation, it was plain to see how media and technology amplified the learning experience. Moreover, media clearly gave him, as a teacher, insight into what students have learned and are still learning. “In school, we need to constantly make stuff.” That’s how Fryer says teachers can achieve the goal of making the invisible visible. Technology, the right technology, can provide educators with a better lens to look in on student progress. Preparing today’s youth for careers of tomorrow. That message grew much, much clearer when Andrew Miller next took to the front of the room to share with everyone the right way to integrated technology in the classroom to meet standards in education, specifically the Common Core. “How are we using technology to enhance what we do?” he asked us. I quickly found that the message here was all about finding ways to make technology work for us—using technology in the classroom should not be a new and entirely separate task altogether. Technology is most beneficial and effective in education when it empowers us to solve, create and demonstrate things we otherwise would have been incapable of. 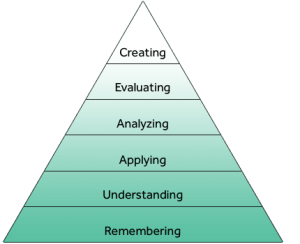 One way Miller helped us expand upon this idea was by having the room dive into the Common Core and identify those standards where technology could be utilized to enrich the intended lesson. Those of us who joined Miller the following day for his session on mobile and project-based learning heard the message again. “Technology and media must be a tool for learning,” he pressed, passionately. By this he meant blended learning or the flipped classroom cannot replace a teacher; in-person work with instructors needs to remain part of the learning experience. The assessment and evaluation provided by the teacher ensures students successfully progress through curriculum, provides an opportunity to course correct as necessary, and eventually equips students to create and later demonstrate their understanding. How will you ensure technology continues enriching education?